The feminist campaign we know today began in order to include women in a picture that was being painted without them. But here’s the catch: feminism that doesn’t incorporate intersectionality is achieving just the opposite. Okay, I know what feminism is. But what on earth is intersectionality? Being part of the feminist movement means we are all fighting the same battle, but we do not all have the same weapons. This is where intersectionality comes into play. 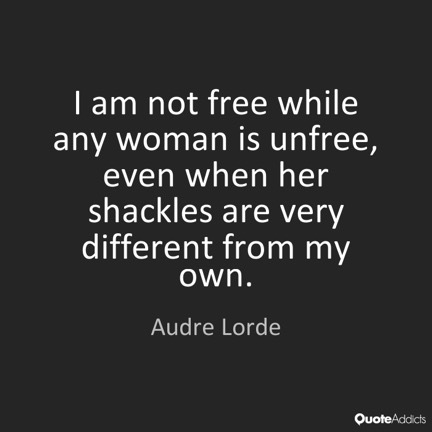 Intersectionality, in simple terms, is inclusive feminism. 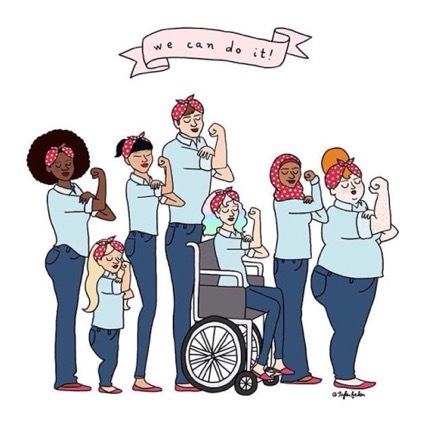 It is inclusive because it recognizes that while the feminist movement is made up of millions of women trying to fight the patriarchy and beyond, not all those women experience the same levels of discrimination. An immigrant woman of colour, for example, might have to deal with not only sexism, but also racism in her struggle for success; something a white woman from a privileged background has probably never experienced. On average, women with disabilities make 65 cents to a white man’s dollar. Women of Native American descent make 59 cents. Hispanic or Latina women make 54 cents. And so, intersectional feminism recognizes that feminism is not and cannot be a one-size-fits-all phenomenon. It recognizes that we must acknowledge and include minority voices. We must remember that feminism isn’t just me and mine—it’s us and ours. Where did intersectionality come from? The phrase was first conceived by activist Kimberlé Crenshaw in 1989, after a lawsuit was raised against Ford General Motors for allegedly employing both sexism and racism in laying off its black female employees. Crenshaw wanted to coin an everyday phrase that would describe both the gender and race-based discrimination black women experienced in the professional world and came up with the word intersectionality. The feminist movement has historically neglected the stories and experiences of women who did not grow up in middle-class, wealthy, or white households. Women of colour, for example, are statistically more likely to experience violence than an average white heterosexual woman. One particular brand of feminism cannot speak for these women’s experiences. This is why we need intersectionality. Feminism without intersectionality is like trying to put together a puzzle with half the pieces missing. All it’ll give you is an incomplete picture. How can I practice intersectionality? – Don’t bring other women down by dismissing how they feel! Try to be as uplifting and understanding as you can. – Always be respectful and make sure you’re only speaking for yourself and your own experiences. – Respectfully listen and learn from other people’s experiences. The best conversations are had when everyone’s voices are heard. At the end of the day, acknowledgement is what intersectionality is all about. It’s about remembering that while women in the United States are fighting against the censorship of the female body in , women in the Middle East are fighting for the basic right to travel without the consent of a male relative. It’s about acknowledging that while a white woman may face discrimination at her new workplace, a woman of colour may not even get called in to the interview. We are all unique in the challenges that we face as women navigating the world, some more trying than others. But diversity is the one thing that we have in common. It’s time that we gave it the voice it deserves. 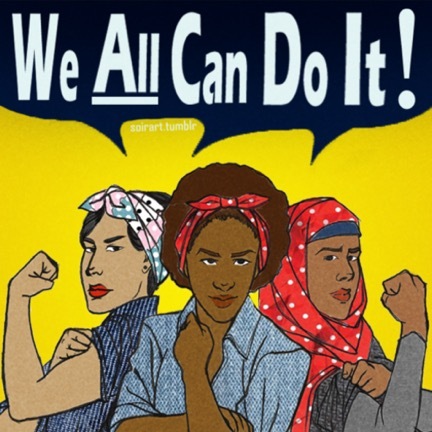 My feminism is intersectional—is yours?